GM equips its latest vehicles with automatic braking and forward collision warning. A research conducted by the Insurance Institute for Highway Safety (IIHS) in the United States shows that General Motors Safety Technology can decrease collisions by up to 43%. Working on the goal of achieving zero crashes, zero emissions and zero congestions on the road, GM equips its latest vehicles with automatic braking and forward collision warning. These two safety features have actually shown 43% fewer police-reported front-to-rear crashes compared to related cars not having a front crash prevention system. Furthermore, the technology helps lower front-to-rear crashes with injuries by 64%. Talking about the forward collision warning system only, the study shows a decline of 17% and 30% in front-to-rear collisions and front-to-rear collisions with injuries respectively. The vehicles that were using the combination of forward collision warning and autobrake, they decreased the risk of front-to-rear crashes of all types by 50% and front-to-rear crashes with injuries by 56%. Analyzing these features individually, IIHS found the forward collision warning without autobrake reduced the crashes rate by 27%. 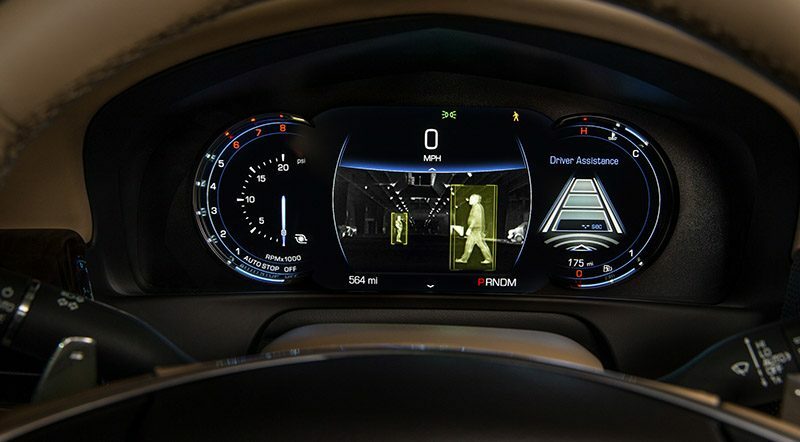 As the American automaker is already working on Level 4 autonomous vehicles, this General Motors safety technology will help them shape the future with zero crashes, zero emissions, and zero congestion.